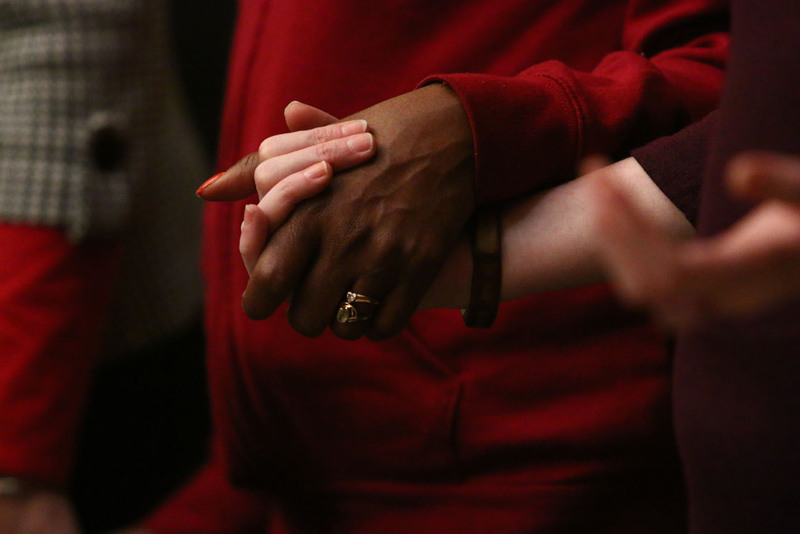 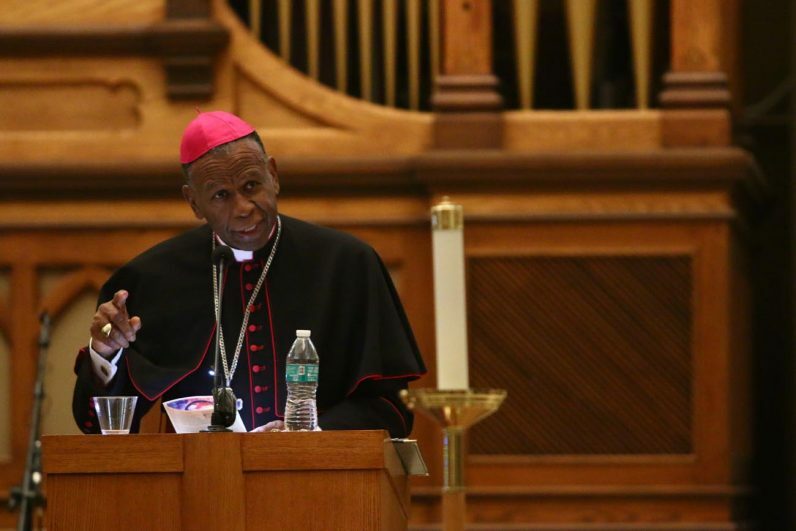 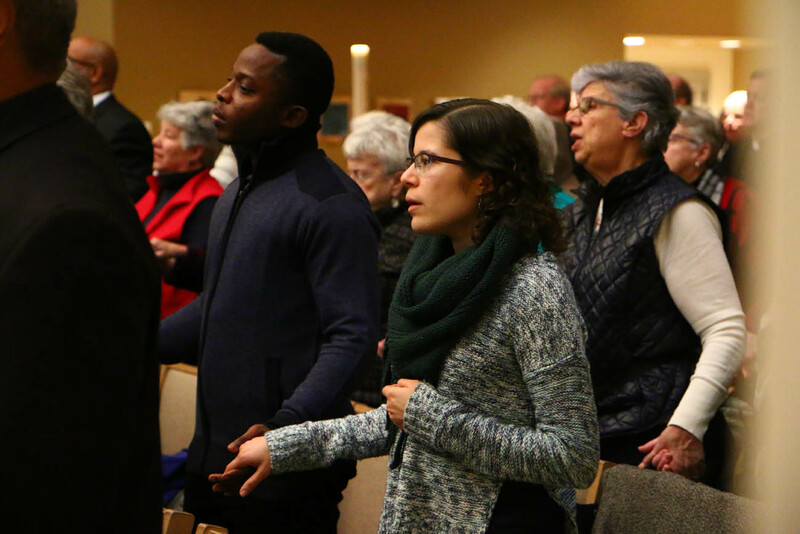 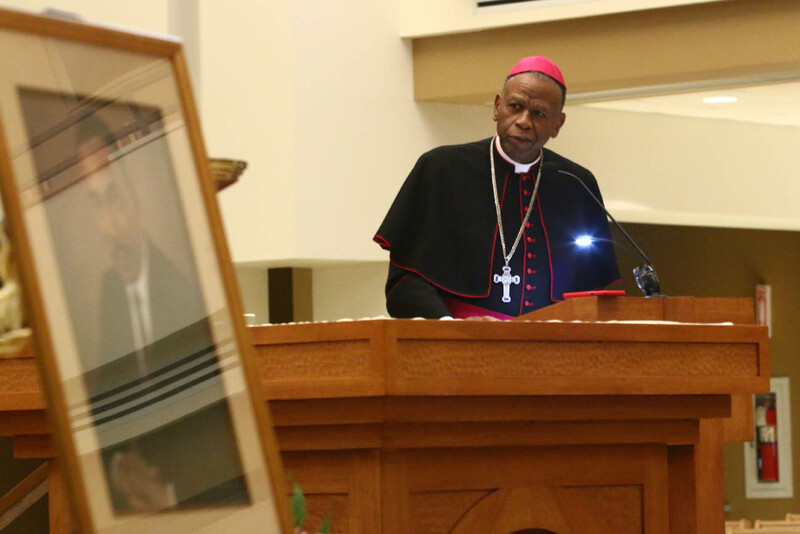 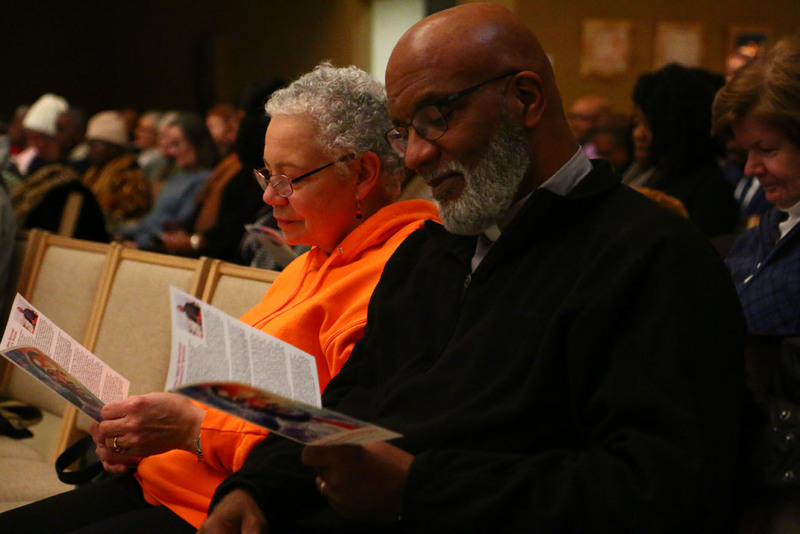 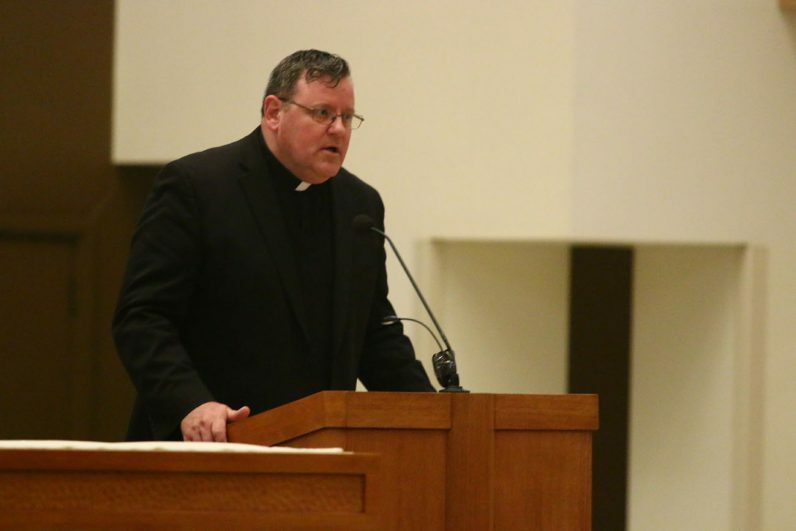 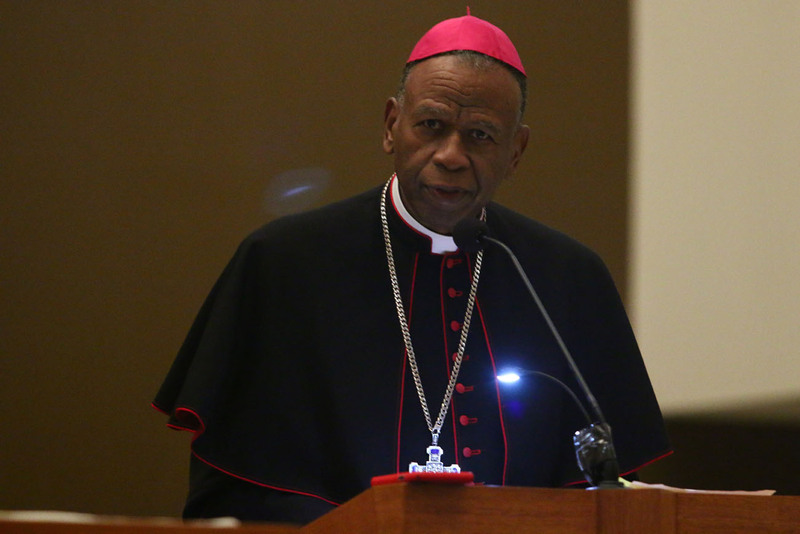 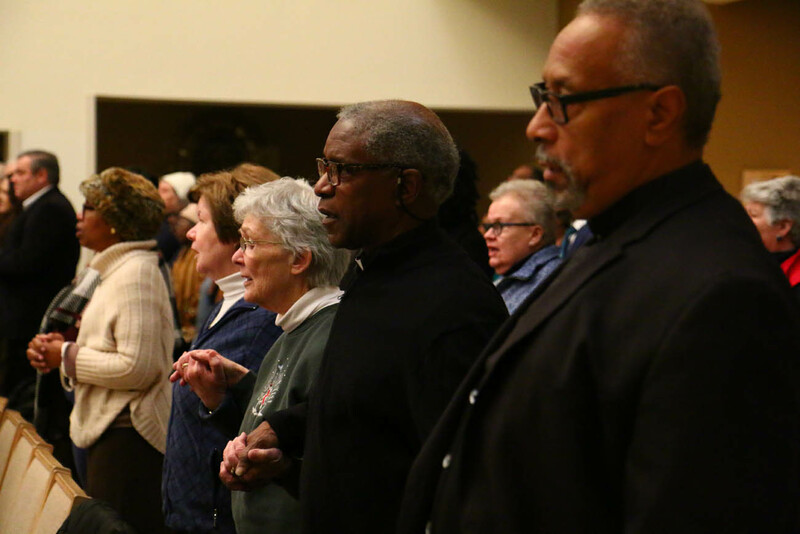 Faithful of the Philadelphia Archdiocese came together in praise, prayer and reflection to commemorate Rev. 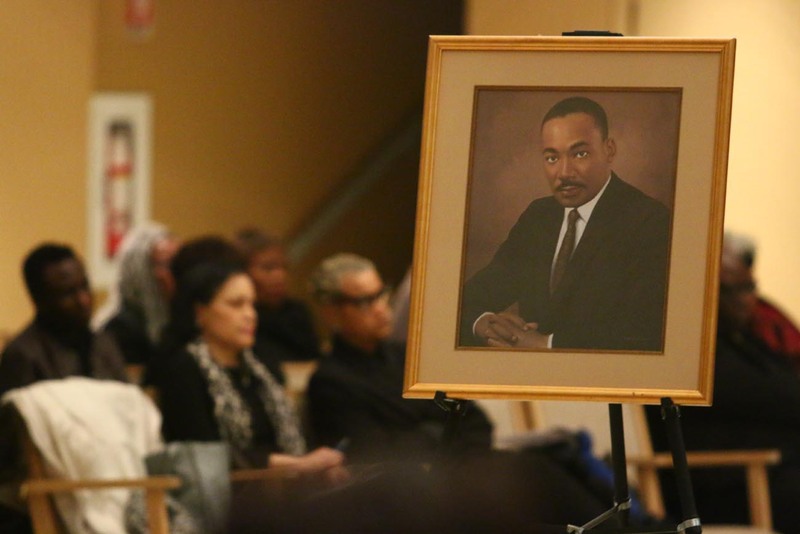 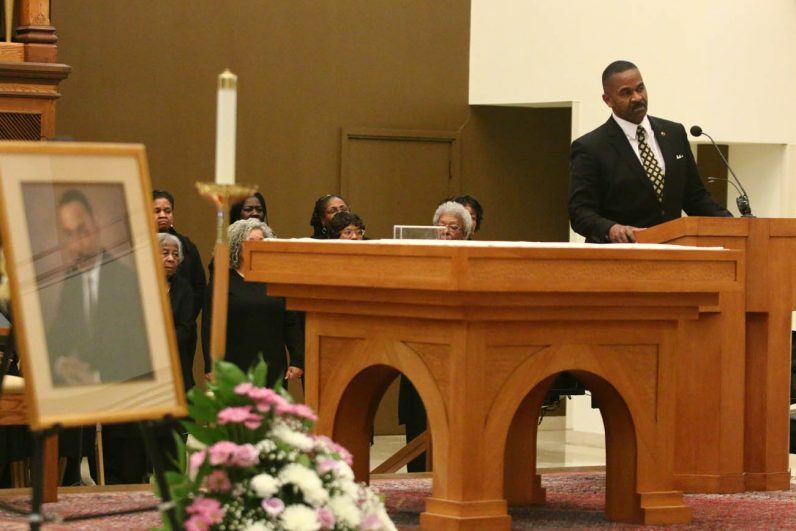 Dr. Martin Luther King Jr. at a celebration of his life and ideals Monday, Jan. 21 at the chapel of St. Joseph’s University. Bishop Edward K. Braxton of Belleville, Illinois gave his keynote speech on King and the current racial divide in the United States. 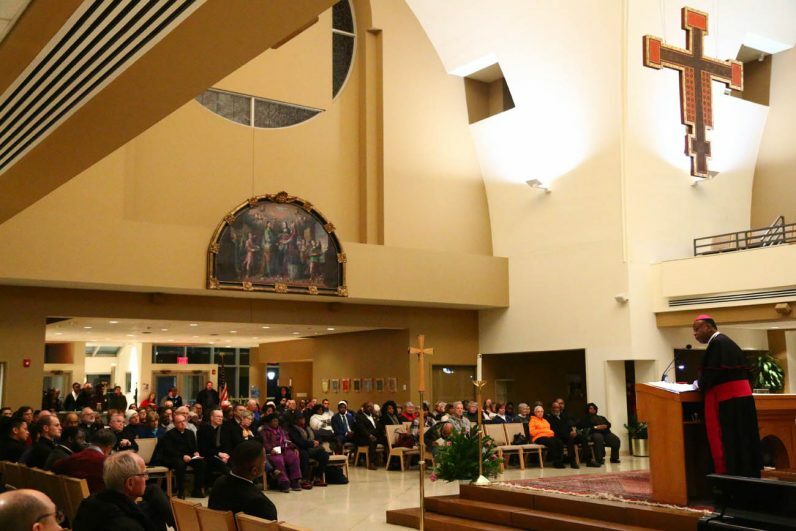 At right, Msgr. 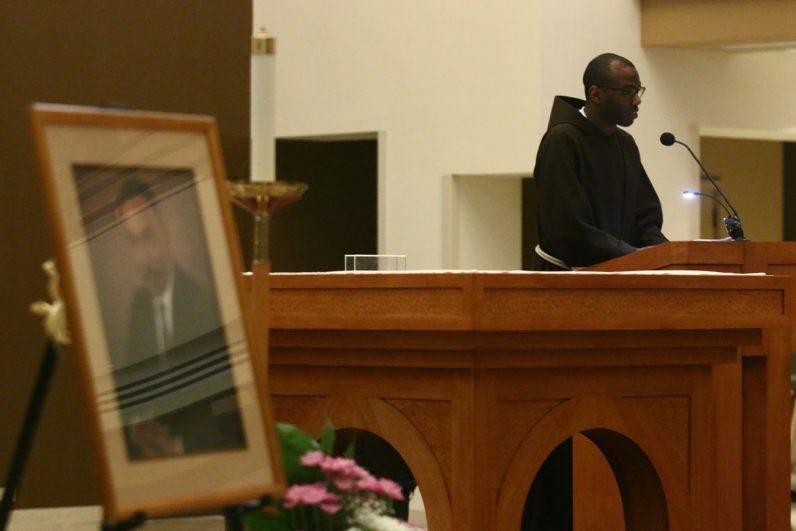 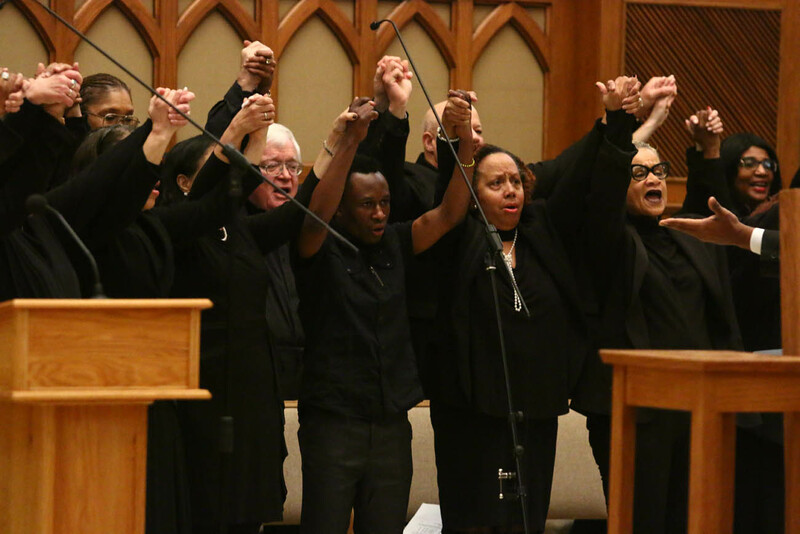 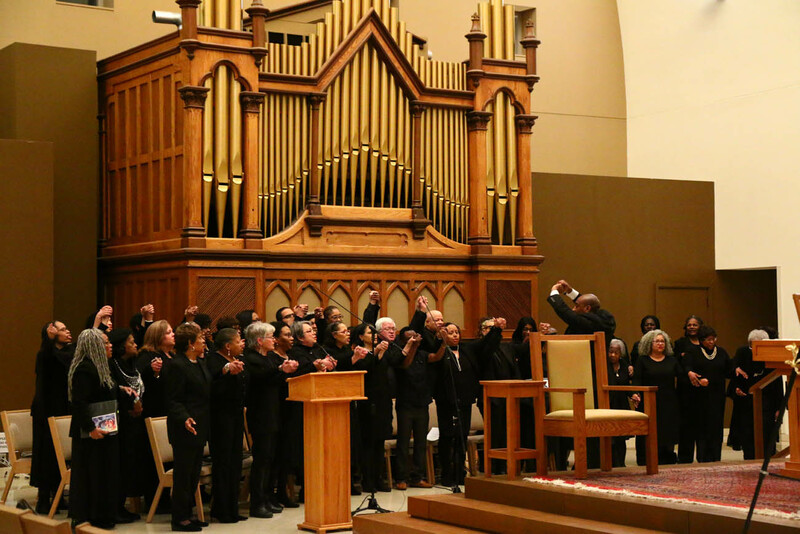 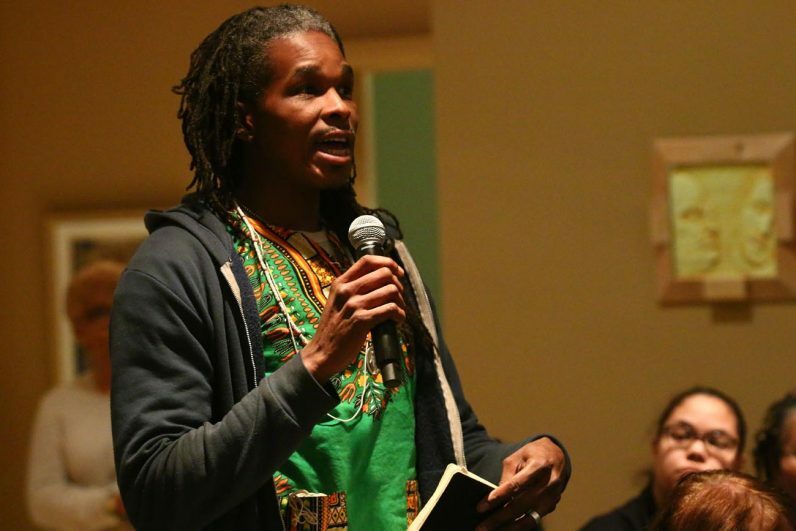 Federico Britto joins Father Rayford Emmons and lay faithful in song and prayer at the observance of Dr. Martin Luther King Jr.’s birthday Jan. 21 at St. Joseph’s University. 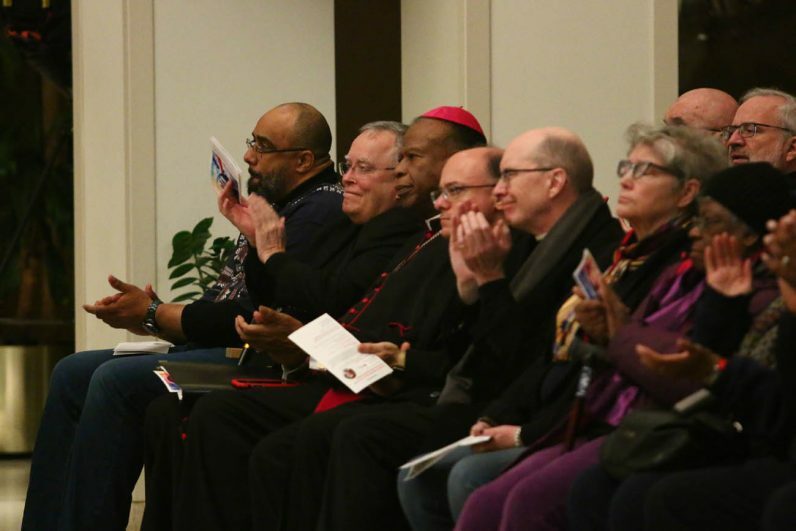 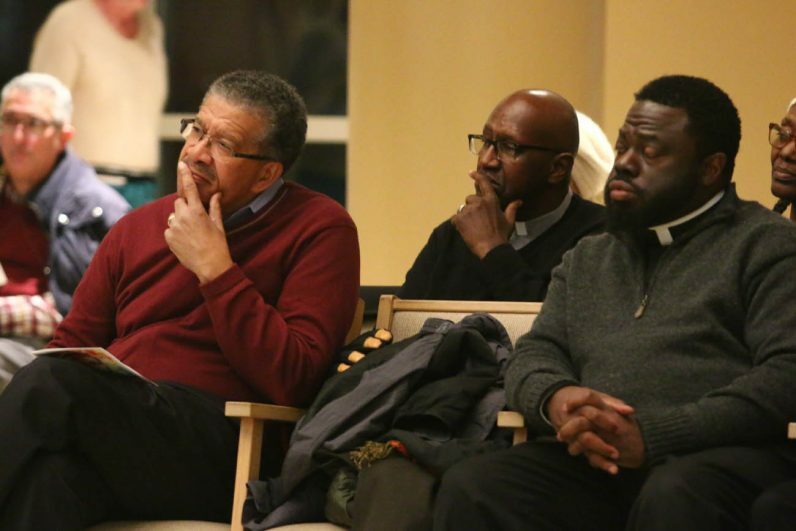 Among other attendees, ponderign Bishop Edward Braxton’s wrods are, from left, Gerald Davis, Deacon Anthony Willoughby and St. Charles Borromeo seminarian Jamey Moses. 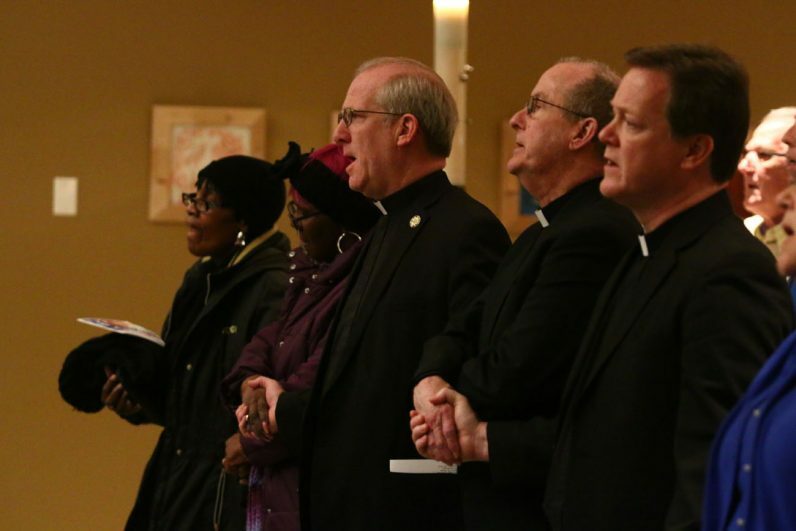 Philadelphia priests join with lay faithful in prayer and song. Franciscan Father Richard Owens, director of the archdiocesan Office for Black Catholics, address the crowd at the St. Joseph’s University chapel.